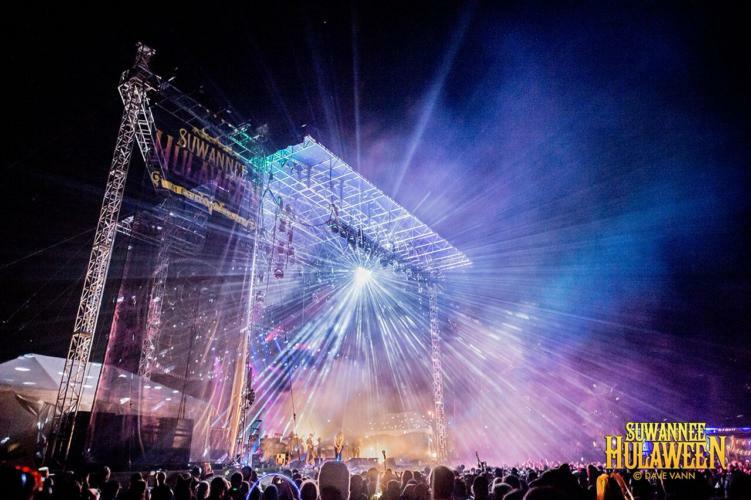 Paul Levine of Purple Hatter and Michael Harrison Berg of Silver Wrapper, the men responsible for Hulaween, will host a Reddit AMA with a little over two weeks before the Spirit of Suwannee comes to life. Since 2013, attendees have gathered at Suwannee park every Halloween to celebrate a diverse range of music and art while expressing their eccentric selves in funky Halloween costumes. Live Oak transforms from a secluded forest of moss filled oak trees and palmettos into a vibrant community of 25,000 people. Lights and music radiate from the otherwise historical dark and tranquil park. It’s truly an escape into another realm when you walk into the campgrounds. The AMA is hosted by the official Suwannee Hulaween Subreddit. For the last three years, the festival producers have hosted the AMA to show support by interacting with fans. Each year the productions improve, the lineups get stronger, and the crowds grow bigger. If you have any last minute questions, want to show your love, or just want to get inside the heads of Levine or Berg then make sure you attend the AMA on October 11th at 7pm EST. The hosts will be seeding questions for a few hours leading up to the event, so make sure you log in early. The link for the event can be found here. River Beats will be attending the festival to bring you coverage and a recap of the event. So keep an eye out for our team at Suwannee and come say hello if you see us! Fire spinners should get respect we work as hard if not harder then alote of fellow people that are part of event plus to become who as performs is very dangerous. When you have fire performances at events the level of adminstiers go way up.